Anaheim is a beautiful city that’s probably best known for its amusement parks, including Disneyland and Disney California Adventure parks. It’s part of Orange county, which is a sector of the Los Angeles metropolitan area. There are many benefits to operating a business in Anaheim, especially because it hosts crowds of tourists all year long. 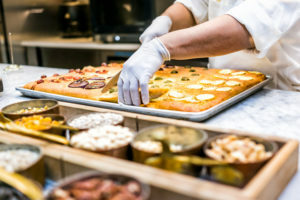 Do you operate a commercial kitchen in Anaheim, CA? Whether it’s for a restaurant, hotel, or any other establishment, we know that there are so many things you need to keep in mind to keep your commercial kitchen running smoothly and profitably. There is one way to make your life easier and ensure your commercial kitchen stays as safe and efficient – establishing a partnership with Flue Steam. At Flue Steam, our mission is to make your commercial kitchen run as safely and efficiently as possible with our commercial kitchen exhaust system cleaning services, grease filter exchange services, exhaust fan maintenance, automatic fire suppression system services, and portable fire extinguisher sales and services. Begin your partnership with Flue Steam today – just call 800-700-FLUE to schedule your first appointment. Take a load off and rest assured that your exhaust system will always be perfectly clean and up to code with exhaust system cleaning services from Flue Steam. We offer hand scraping and steam cleaning services for your complete exhaust system including the fans, hoods, and ducts. Dramatically reduce your risk of a kitchen fire and the costly disruption that accompanies it with exhaust system cleaning services from Flue Steam. If your staff is frying and/or broiling food on any kind of consistent basis, you’re going to need a lot of oil, which results in your grease filters often getting clogged. Make your staff’s lives easier with fast, convenient, grease filter exchange services from Flue Steam. We’ll bring you fresh, clean grease filters and remove the old ones at regular intervals so you won’t have to worry about that anymore. Just call 800-700-FLUE to set up for your first service today. Hopefully you’ll never need to use your fire suppression system, but just in case, it’s essential that you always have it perfectly calibrated and ready to spring into action to keep your employees safe and your equipment protected in the event of a fire in your commercial kitchen. Plus you also need to maintain it to keep your kitchen up to code. Partner with Flue Steam and we’ll make sure your automatic fire suppression system is always in tip-top shape. Likewise, commercial kitchens need to maintain at least one portable fire extinguisher at all times to be prepared for a fire and to stay up to code. 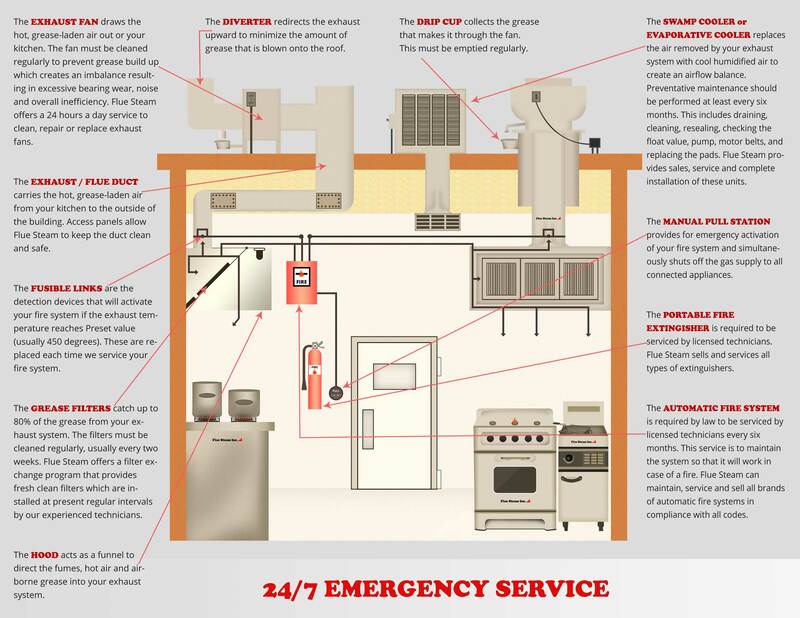 Take this fundamental task off your plate when you rely on Flue Steam for all your fire extinguisher needs in Anaheim, CA. We’re at your service! Call us today at 800-700-FLUE.